The Honda Accord sedan still holds 50 percent of its value after three years of ownership, ALG data show. American Honda's captive remains No. 1 in share of the new-vehicle lease market. LOS ANGELES -- American Honda may be No. 5 in sales in the United States, but its captive finance arm is No. 1 in an increasingly important arena: leasing. In the first quarter, American Honda Finance lease deals accounted for more than 16 percent of all new-vehicle lease transactions industrywide, according to Experian Automotive. That led Toyota Financial Services, Ford Motor Credit and Nissan Infiniti Financial, which all had about 11 percent share of the leasing market. "With Honda, there is a stronger emphasis and push on leasing products," said Melinda Zabritski, Experian's director of automotive credit. As the economy rebounds, leasing is becoming a larger part of many automakers' finance portfolios. LeaseTrader.com predicts leasing could represent as much as 40 percent of the new-vehicle market by 2020, up from about 10 percent in the depths of the recession. According to Edmunds.com, leasing represented 21 percent of all transactions in the first quarter of 2012, down from 24 percent in the first quarter of 2011. "There always are consumers who will lease," he said. Dealers respect Honda's commitment to leasing, says Art Wright, a Honda dealer in Lehigh Valley, Pa., since 1972. "A lot of [third-party] sources are here today, then they go to the next hot model," Wright said. "Honda has sold the whole idea of owner retention over the long haul with very competitive programs in the marketplace. Dealers have rewarded that attitude with their business." Honda has used data-mining techniques to stay in touch with customers throughout the lease period, which helps with loyalty, said Charles Aiesi, senior manager for sales for American Honda Motor. Honda also offers loyal customers niceties when the lease ends, such as no lease-termination fee and flexibility in voiding charges for minor dents and dings, Wright said. "Honda has instilled the idea that because of a customer's loyalty, they will make the process smoother and easier," he said. The 2011 J.D. Power and Associates dealer financing satisfaction survey ranked Honda fourth in retail leasing satisfaction, trailing Mercedes-Benz, BMW and Ford. Honda also is helped by strong residual values, the result of low sales to daily rental fleets and an aversion to customer cash incentives. Strong residuals mean lower lease payments because the depreciation from its sticker price won't be so high. For example, even though Honda's Accord sedan is the mid-sized segment's oldest entry, it still holds 50 percent residual value after three years of ownership, according to ALG. 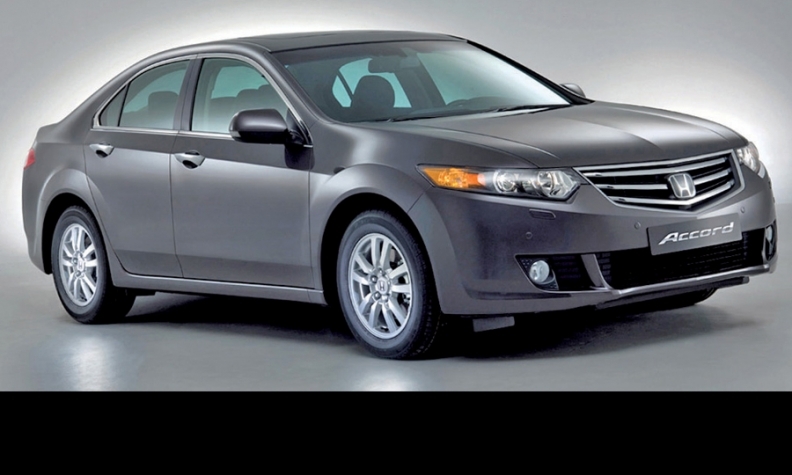 That ties it with the Toyota Camry, which was redesigned last fall, and trails only the Hyundai Sonata at 53 percent. "Honda's variable market spend is in lease subvention, not customer cash," Lyman said. "If they do cash, it's dealer cash. They stay away from heavy discounting of the vehicle, which can do damage to brand value. Their starting point is definitely stronger." Among mainstream brands, Honda placed second to Volkswagen in leasing penetration â€” leases as a percentage of new-vehicle volume â€” in the 1st quarter, according to Experian. Honda also encourages dealers to buy leased vehicles at the end of term, before they reach auction, which reinforces residual values, said Jeff Williams, American Honda Finance senior manager of sales and marketing. American Honda Finance has boxed out many third-party lenders, garnering 98 percent of all Honda and Acura leases. But banks such as Wells Fargo and third-party lenders such as Capital One are re-entering the leasing sector. Honda isn't blinking. "We are taking notice," Williams said. "But retail banks come and go, and often they are unrealistic in their programs. Dealers understand how we drive customers back to the dealerships, and banks don't care about that."